The magnetic field strength must be at a high gauss level since it may be demagnetized to some extent before reaching the combustion chamber. Most fuels for internal combustion engines are liquid fuels don’t combust till they are vaporized and mixed with air. Currently regulated gas emissions from motor vehicles are unburned hydrocarbon (HC), carbon monoxide (CO), and oxides of nitrogen (NOx). Unburned HC and NOx react in the atmosphere to form photo-chemical smog. Smog is highly oxidizing in the environment and is the prime cause of eye and throat irritation, bad odor, plant damage, and decreased visibility. Oxides of Nitrogen are very toxic. CO impairs blood capability to carry oxygen to the brain, resulting in slower reaction times and impaired judgment. Fuel mainly consists of hydrocarbons. Groupings of hydrocarbons, when flowing through a magnetic field, change their orientations of magnetization in a direction opposite to that of the magnetic field. The molecules of hydrocarbon change their configuration. At the same time intermolecular force is considerably reduced or depressed. These mechanisms are believed to help to disperse oil particles and to become finely divided. In addition, hydrogen ions in fuel and oxygen ions in air or steam are magnetized to form magnetic domains which are believed to assist in atomizing fuel into finer particles. Generally a liquid or gas fuel used for an internal combustion engine is composed of a set of molecules. Each molecule includes a number of atoms, which is composed of a nucleus and electrons orbiting around their nucleus. The molecules have magnetic moments in themselves, and the rotating electrons cause magnetic phenomena. Thus, positive (+) and negative (-) electric charges exists in the fuel's molecules. For this reason, the fuel particles of the negative and positive electric charges are not split into more minute particles. Accordingly, the fuels are not actively interlocked with oxygen during combustion, thereby causing incomplete combustion. To improve the above, the fuels have been required to be decomposed and ionized. The ionization of the fuel particles is accomplished by the supply of magnetic force from a magnet. The resultant conditioned fuel / air mixture magnetized burns more completely, producing higher energy output, better fuel economy, more power and most importantly reduces the amount of hydrocarbons, carbon monoxide and oxides of nitrogen in the exhaust. Another benefits if these devices is that magnetically charged fuel molecules with opposite polarities dissolve carbon build-up in carburetor jets, fuel injectors, and combustion chambers help to clean up the engine and maintain the clean condition. The Ferrite magnets are the most cost effective for treating fuel. When high energy Neodymium Iron Boron Magnets is applied, we can obtain a decrease in the fuel mileage and unburned hydrocarbons and carbon monoxide. The magnetizing apparatus is located on the pipe between pumping means and the burner, carburetor or fuel injectors, because it is unnecessary for any other parts to be magnetized. A portion of the fuel feeding system extending from a point downstream of the magnetizing apparatus to the burner must be made of non-magnetic material. 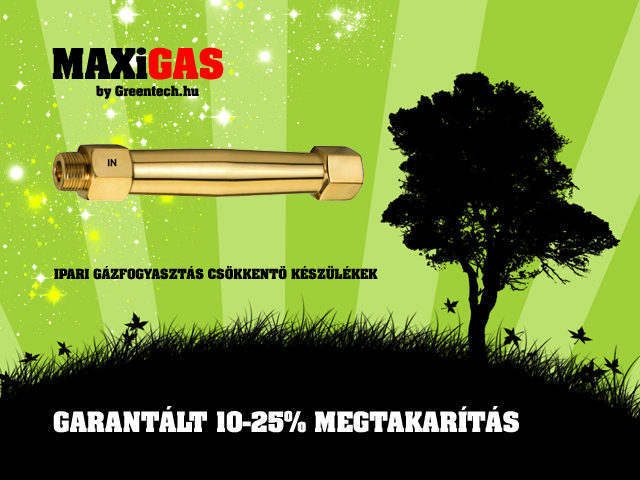 In this case, magnetized fuel is directly fed to burners or atomizing nozzles with a minimum reduction of magnetism.The magnets are embedded in a body of non-magnetic material, such as brass, copper and stainless steel to secure them to the fuel line. No cutting of the fuel line. 2) cutting hose pipe with clamp to install this device, outside a fuel line without disconnection or modification of the fuel or ignition system for producing magnetic flux in the flow path of combustible fuel within the pipe. These units have been installed without other fuel line or ignition adjustments to treat appliances failing required emission tests as an inexpensive retrofit accessory to give substantially immediate improvements of up to the order of 80 % reduction in hydrocarbon and carbon monoxide emissions. Dust in exhaust gas from a boiler was measured by both weight and concentrate methods. It was found that at the same weight of dust contained in exhaust gas, the exhaust gas generated after the magnetizing treatment according to these devices exhibited in higher value in concentration than that generated without magnetization. This fact that dust particles after magnetization are finer than those usually found, which in turn, means that oil particles are made finer by the magnetizing treatment of these devices. Friday, 19. April 2019. 6918184 requests since 2010. April 15.